Heys guys, this is just a quick FOTD of my make up yesterday. Sunday’s are usually a very casual kinda day for me which majority of the time compromises of me chilling in my Pjs but as I had to run a few errands I decided to glam up my look a little with red lips. I still kept my clothing casual with my converse’s (not pictured) and faux fur trapper hat which has been glued to my head this winter. At present I am looking for the perfect matte red lipstick as I feel everyone’s fave lippie Ruby Woo by Mac just doesn’t work with my skin tone. It looks a lot brighter on me and I have been advised to try toning it down with a dark lip liner but I cant be bothered to do that yet. Until I find the perfect matte red lippie I am loving the effect I get from just using the L.A Colors lip liner instead. Love this look hen!! Wowza that you're only wearing Concealer and Mineralise Skin Finish on the face. Less is defo better. Some females need to take note that you don't need a ton of products to look on point.. Looking pretty as usual.. Love the fur cossack!!! Yes, that red lip is FAB on you! Love your brows!! I'm a brow fanatic!! Thanks hun. MSF is a staple for me, loves it!! You look absolutely beautiful and I love the red lip. 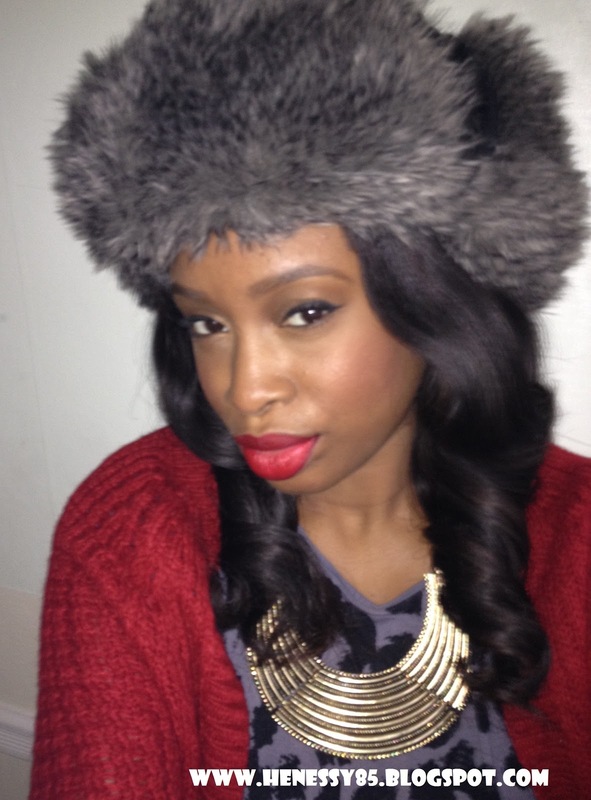 Since Ruby Woo doesn't work for you I think you should try the NARS velvet matte lip pencil in 'Dragon Girl'. I prefer it to my Ruby Woo as it isn't as drying and it's a touch darker. hahaha that hat is amazing! I want it so bad! You look beautiful! Can I ask where your collar/necklace is from? ?